Malpractice and whistleblower lawsuits have exposed an underreported number of cases in which patients were potentially harmed by EHR problems. EHRs remain a “sprawling, disconnected patchwork” of systems that now-unhappy users bought quickly to collect incentive payments. Doctors aren’t allowed to publicly talk about observed safety issues because of “gag clause” requirements of either their employer or their EHR vendor. A survey found that 20 percent of consumers found mistakes in their EHR records, most often involving medical history. 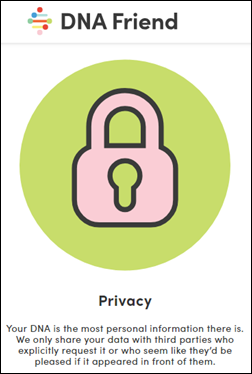 User customization makes it hard to compare safety records across health systems and sometimes the site’s own configuration creates the problem. Experts note that while the EHR solved several problems, it created a big one lacking visual cues to assure clinicians that they are working in the intended patient’s record. A MedStar usability study found that an ED doctor ordering Tylenol is faced with a drop-down that lists 86 options, many of them inappropriate for a given patient. The urgency to dump money into the Meaningful Use program in 2009 – it was part of an economic stimulus program that targeted “shovel-ready” projects – left too little time to consider interoperability or broader improvements an instead rewarded only widespread adoption. EHR vendors rushed out aggressive sales tactics to get their place in the EHR Meaningful Use land grab, figuring they could fine-tune implementations afterward, leading to customer complaints and lawsuits over shoddy software and patient harm. An unknown number of doctors and hospitals falsely attested to EHR use to earn incentive payments. Patients still can’t get copies of their own medical records easily and inexpensively from hospitals. Some patients who are suing for malpractice claim that hospital employees changed EHR entries after the incident and refused to turn over audit logs that would prove it. 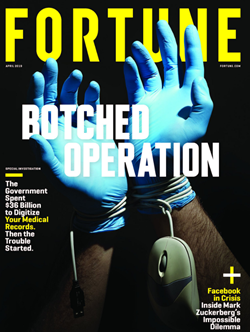 This article was a good rehash of how we went from the first glimmers of Meaningful Use to today’s “unholy mess.” It doesn’t contain much of anything new for industry followers, but it will reach a mass audience as the Fortune cover story. Healthcare was slower than most industries to adopt technology. Meaningful Use was an ill-conceived, rushed stimulus project that paid EHR-resistant doctors to use (not necessarily buy) EHRs in government-mandated ways with the vague hope that patient care and cost would improve once they were in place. The short payment timelines discouraged innovation as providers were forced to buy the same outdated systems they didn’t want before the government offered bribes. EHR vendors fought for their share of the resulting taxpayer-funded windfall with aggressive sales tactics and over-the-top marketing that were a lot more sophisticated than the old EHRs that were gathering dust on their shelves. Hospitals and practices bought whatever inexpensive, quickly implemented system would get their faces into the government trough as quickly as possible. They did the bare minimum required to earn incentives. The government used the honor system of unverified attestation to trigger checks, leading some providers to lie. In the case of larger practices and most hospitals, they didn’t ask (and didn’t really care) what physician users thought of the systems they considered before buying. They customized new EHRs to work like paper charts and their old systems. 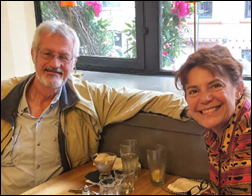 They under-invested in training, physician support, and optimization, opting instead to push the decisions of committees – often with minimal user involvement – to the front lines. Freshly armed with the technical means to allow easy sharing of patient data, they have refused to do so. They didn’t allow doctors to publicly share EHR-related patient safety information because of malpractice concerns, competitive worries, and the lack of incentive to help someone else’s patients. Doctors and hospitals don’t believe in standardizing processes, either within their own organizations or across competing ones. They all believe they have a self-developed secret sauce that is better than everyone else’s. The same patient will receive different care depending on where they go in the absence of “one best way.” You don’t want to be the developer that has to code around that. Doctors and other clinicians are the only professionals who are expected to perform their own clerical work and to perform data entry during professional encounters. Hospitals are willing to force their doctors to perform tasks that other professional employers (law firms, accounting practices, and even dental practices and veterinary practices) would find not only insulting, but a waste of highly-paid resources when lower-skilled employees could do the work. The executives who require doctors to use computers generally don’t use them themselves. Only a tiny part of what is entered into an EHR directly contributes to patient care and the user of that information is often not the person who enters it. Doctors don’t like to have bosses or to have their decisions questioned, yet ancillary departments and EHRs catch and prevent their mistakes regularly, creating tension between doctors and almost everyone else, especially when the doctor is not a hospital employee. Everybody thinks they understand patient care – or at least their particular pet aspect of it — better than everyone else. The Big Question: What Would An EHR Look Like If Clinicians Designed It For Themselves? We will never know because clinicians don’t drive our healthcare system. It’s mostly overseen by hospital and practice executives, insurers, regulators, and the government. I would also wager that getting consensus would be impossible since nearly every doctor mistakes their opinion for irrefutable fact. There’s also the question of whether clinicians have enough of a broad view to design software that will be used by thousands of users. EHR design is the de facto consensus of a broad swath of users in the most heavily represented specialties and user configuration options are the safety valve for practice deviations (which is why EHRs are so deeply configurable). It’s also a pie-in-the-sky fantasy that a clinical system should be as easy to use as Facebook, Amazon, or an IPhone. It’s true that those systems empower their users with smart design, but their functionality is comparatively simple and users are motivated because their purpose is largely recreational. EHR vendors are incented to create the systems that customers will buy. Companies selling well in a contracting EHR market Cerner, Epic, EClinicalWorks, etc. – are delivering what customers want (“customers” not necessarily being synonymous with “users.”) They have no incentive to build products that everybody hates, and given the competitive environment, they would do whatever they can to gain market share. The underlying business model drives EHR design, and that’s what a lot of clinicians don’t like (and especially their place in it). That resentment gets pushed both down and up. There’s still an immediate need for not only allowing, but encouraging system users to publicly and anonymously report patient-endangering software bugs. Vendors have not done a good job in pushing these notices out, and even in cases where they do, word doesn’t always filter down from the hospital’s IT department to end users. Enough griping about EHRs or leaving laypeople to draw their own conclusions about them. What would you change? Tell me here, be specific, and assume (as EHR vendors are expected to do) that our screwy US healthcare system is off the table. Health Catalyst hires bankers to initiate its IPO. 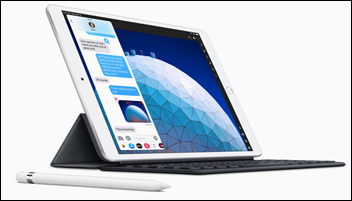 Apple quietly rolls out new models of the IPad Air and IPad Mini. The former has a larger display, a processor that’s three times faster, and support for the Apple Pencil, while the latter hasn’t changed much except to add Pencil support (and thus supports high-margin Pencil sales). Apple seems more focused on the impending announcement of its video streaming service and other high-margin, non-commoditized services. 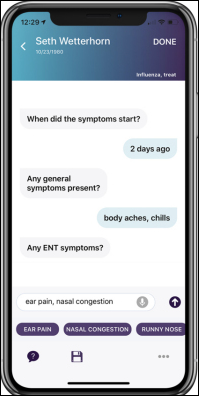 Sopris Health claims that its chat-powered digital assistant app allows clinicians to create a visit note in 45 seconds, or the time required to walk from one exam room to the next. Co-founder and CEO Patrick Leonard previously worked for Aetna’s consumer technology group and was CTO of the symptom-checking app ITriage that Aetna acquired in 2011 along with its developer, Healthagen. 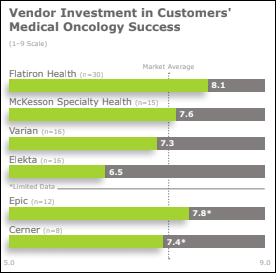 A new KLAS report on the medical oncology technology needs of community cancer canters finds that Flatiron Health leads the pack, as Cerner, Epic, and McKesson Specialty Health lag in supporting workflows. Cerner and Epic also score poorly in connecting with EHRs of other vendors. A whistleblower lawsuit brought by two former IT employees of Community Health Systems accuses the for-profit hospital chain of submitting fraudulent attestations for Meaningful Use, reaping $544 million in incentive payments in 2012-2015. It adds that CHS acquired 60 hospitals of Health Management Associates that attested to Meaningful Use payments even though their Pulse EHR was poorly integrated and require printing paper at multiple stages during a patient’s stay. The lawsuit also claims that Medhost made false statements to get its EHR certified under Meaningful Use Stage 2. The former employees also say that CHS used Medhost partially because of illegal kickbacks in the form of providing free Medhost Financials with the purchase of its clinical applications. The White House’s US Digital Service says the VA’s newly developed online eligibility tool for veterans who seek private care under 2018’s MISSION Act is so flawed that it should be scrapped. warning that it will be slow, will cause errors, and will require an extra 5-10 minutes for each appointment booked. The report says VA contractor AbleVets isn’t the problem – it’s the VA’s poor oversight and a rush to bring the system live in June without adequate testing or integration with six existing VA systems. VA doctors are already pushing back, with one saying, “These people are out of their minds. We aren’t housekeepers, doorkeepers, or garbage men.” The VA says it needs $5.6 million to finish work on the system, which it says will cost $96 million in this fiscal year. An inefficient approval and scheduling process caused major delays in the VA’s 2014 rollout of a similar program, creating the need for this new project. Glen Falls Hospital (NY) reaches a confidential settlement with Cerner over the $38 million of revenue it lost due to billing problems after go-live. A study finds that implementing EHR-generated severe sepsis alerts didn’t improve treatment performance measures or patient outcomes. 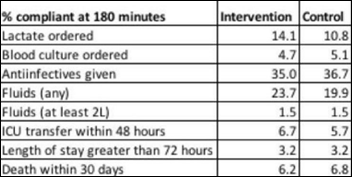 Two-thirds of the alerts were true positive, but only eight percent of those doctors used the EHR sepsis order set, with two-thirds saying they would rather enter their own orders and 58 percent expressing skepticism about whether the alert captured a meaningful change in clinical status. Stat notes that despite the hype associated with Stanford’s widely reported study of the Apple Watch’s ability to detect atrial fibrillation, it’s hard to look at the overall effects since the study was not a randomized controlled trial and instead just observed what users experienced. It did not look at false positives, how many doctor visits resulted, the conclusions from those visits, and whether wearing the Watch can actually improve the health of a large population. 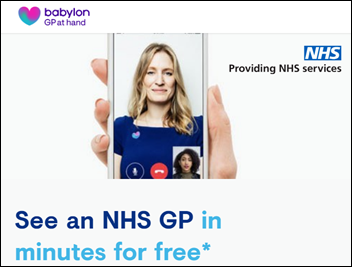 Doctors in England express concern about fast-growing online visit provider Babylon, which NHS has embraced under its GP at Hand program. Local NHS cost have skyrocketed as 40,000 Londoners have joined Babylon’s program, which as a medical group requires people to leave their local practice (which patients often don’t understand), creating economic upheaval under NHS’s per-patient payment model that looks at where the practice – not the patient – is located. Doctors also complain that Babylon attracts the most easily managed patients, sticking them with the more complex ones under the fixed payment. Insiders also raise questions about the company’s AI-powered chatbot, which sometimes delivers flawed results and has not been peer-reviewed. AdvancedMD will exhibit at NATCON March 25-27 in Nashville. Aprima will exhibit at the AIMSVAR Annual Conference March 21-22 in San Antonio. EClinicalWorks publishes a case study of the implementation of ECW’s population health management tools at Adult Medicine of Lake County (FL). Avaya announces further integration with Google Cloud Contact Center AI. Bernoulli Health becomes an Affiliate member of the Intel IoT Alliance; its Bernoulli One solution has been named an Intel IoT Market Ready Solution. Divurgent launches a data and analytics approach to address physician burnout. Physicians are in such limited supply and command such high salaries that the entire clinic or unit orient themselves around having the MD always operate at the “top of their license.” This means that the MD interaction with the patient will consist of 1.) dispensing whatever information only the MD and no one else in the clinic can dispense. 2.) doing the bare minimum to ensure that the patient is billed for number one. Doctors will not get paid >100 dollars an hour to look people in the eye, have a conversation or connection, take a clinical measurement, have an original thought, etc. All of those things can be done by a medical assistant or a nurse or someone cheap. We could assign a scribe to every physician so the wouldnt ever have to touch an EHR; I think doctors would be marginally happier but not significantly. The reality is that physicians are now employees and no longer run the show. Like the rest of us employees, the only meaningful changes will come from unions or the legislature. Back in the very first days of the MU program, I sat in a meeting room at a state hospital association conference and heard a CMS Regional Administrator say “we won’t pay for that which we can’t measure.” IE: If you are documenting in a way that makes it difficult or impossible to collect data and compare how you’re doing with other providers, we aren’t going to pay you. Lab results, vital signs & drug administrations are all relatively easy to collect data for measurement. Medical necessity pass/fail rates are fairly easy. Acceptable Use Criteria will make diagnostic imaging more easily measurable. CPOE made order patterns measurable. Specificity in documentation to get to the most specific diagnosis code possible is measurable. MU was in large part about making as much information as possible measurable. That it took billions of dollars to get an industry notoriously resistant to any oversight in how they function was a feature, not a bug. 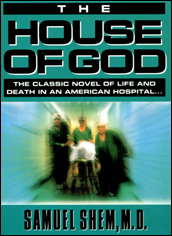 I wonder if “state of play” assessments like “Death By 1,000 Clicks” as well as the now well-hyped Theranos takedown will inspire any truly investigative journalism into the EHR oligarchy. There’s not a Theranos story there, but there is a story of companies that grew much too quickly, are governed largely by crisis and chaos, have an ethos of “put something out there and fix it later” (or, promise something and create it later), are operated at all levels but the very top mostly by 20-somethings, and have had plenty of lapses of both execution and ethics in the post HITECH boom. I think there are stories there that might be enlightening to policymakers and providers, surely more so than the usual puff pieces about Treehouses and Wizards. So, did I mostly sleep through that pre-EHR period when doctors paid full attention to patients, there were no medical error related incidents, CMS was never over-billed, cost was low, outcomes were great, and everyone practiced at the top of their respective license, and doctors went home at 5 pm and spent time with their families? And then boom! MU, the evil ONC and the clueless EHR vendors with their totally low IQ came in and destroyed everything? And now, as a result, we have a 3.1 trillion dollars industry with one of the worst outcomes and highest per-capita cost! And doctors getting burnt out and oh, horror of horrors, charting in their pajamas instead of being able to meet representatives from drug and device industries and playing golf? Having sold EHR software before the government started subsidizing buying as well as after its no surprise the monetary ‘savings’ haven’t been realized. Most physicians under coded visits prior to using an EHR as they feared failing an audit of required documentation. Using an EHR allows faster accurate coding which means higher medical costs. When physicians used paper to document care they usually made very brief notes with the patient in the exam room. Then they spent hours dictating progress or writing progress notes after business hours. Many charts were unreadable or missing when needed. The paper records were far from perfect and hid many more medical errors. (Xanadu – didn’t sleep thru this either). Today – Physicians should be using tablets or tablet based PCs to enable them to face patients and retain some level of eye contact. As for physician writing EHRs – Mr H is correct they were mostly terrible one-off systems that could not be commercialized.